The Roman Baths is an ideal wedding or drinks venue. If you're searching for a venue with the 'wow' factor, look no further. Dating back nearly 2,000 years, the Roman Baths offer a unique and unusual setting for a memorable event. What could be more atmospheric than enjoying an evening with friends or colleagues around the steaming waters of the Great Bath? 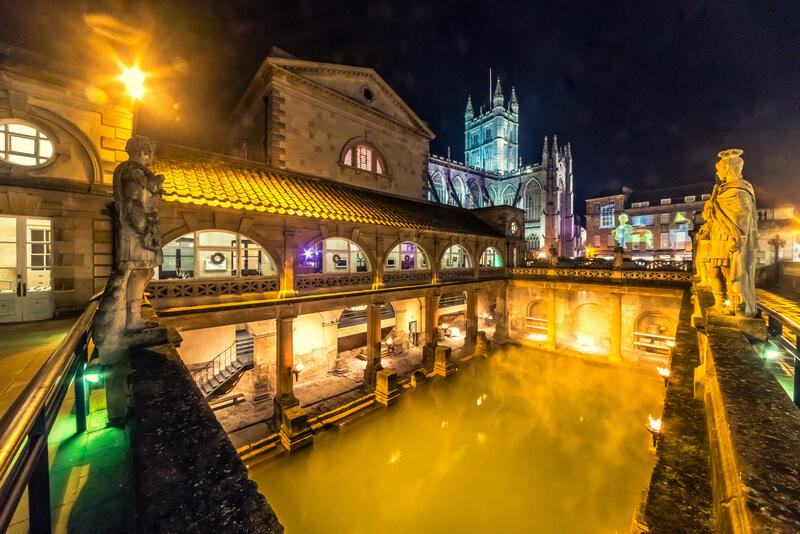 The gas torches will be lit, Bath Abbey visible beyond the stone statues and the water will be pouring into the Great Bath via the original Roman channel. 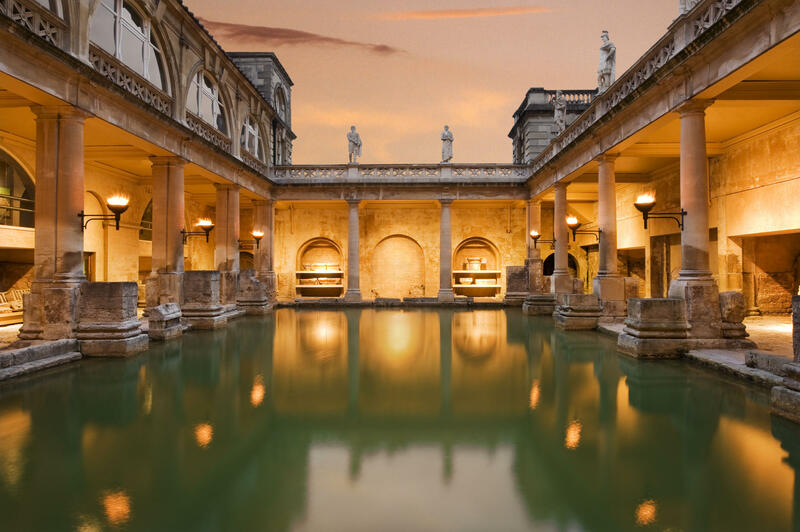 The Great Bath was once covered by a vast roof and, fed by Britain's only naturally hot spring, it was the centrepiece of the Roman public bathing complex. It was also an area for socialising and relaxing, a tradition which continues to this day. The hot baths, which yield around 1,200,000 litres of water daily at 46 degrees, were in use between the 1st and 4th centuries. Find out more about the history of the Roman Baths. The Roman Baths is available for private hire from 7pm September to June or in the morning before 9am all year round. Click on the link for further information about Roman Baths weddings or contact us on 01225477786 or complete our enquiry form.